1. Wipe away as much grime as you can with a cloth, then spray the tracks with a mix of vinegar & water. 2. Let the vinegar & water solution sit for 3-5 minutes. 3. Place a thin, sturdy cloth over a flat head screwdriver (or chopstick) and scrub along into the tracks on both sides. 4. Then run a cotton ball tip along the length of the tracks, wiping and rinsing until all gunk is gone. 5. Finish off by rubbing the tracks with coconut oil or WD-40 for a smoother glide. 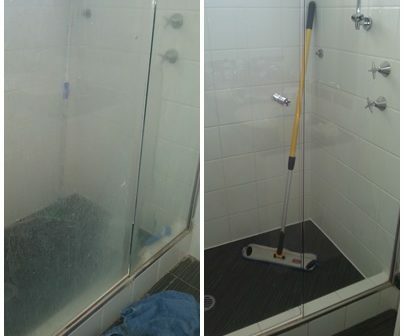 This cleaning is included in our Shower Screen Cleaning Service where we clean all tracks, frames, & taps as well as the shower screens themselves! for more information, including our photo transformations! 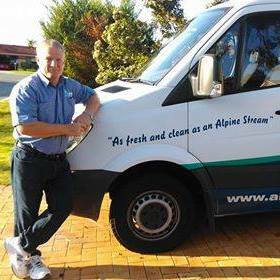 Owner/Operator of Alpine Carpet & Tile Cleaning, Perth.